Have a great product or service that you know adds value, but sometimes you feel that your customers are not getting the best out of it? Do you think your customer onboarding process could be more efficient? You need a customer training portal! Providing training to your customers addresses these challenges while increasing adoption, retention, and the customer lifetime value. 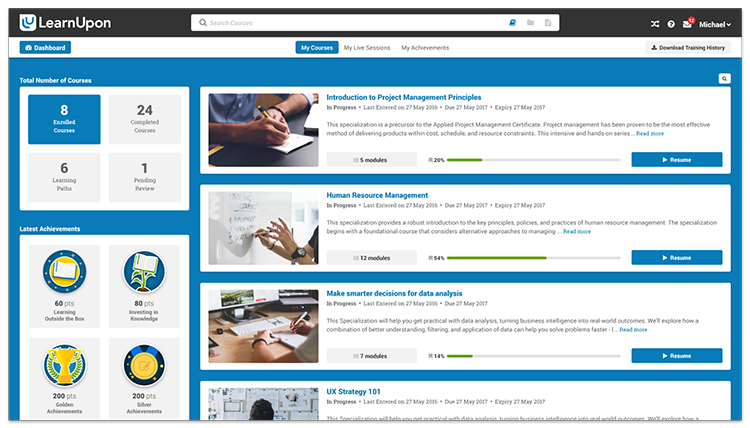 In this post we’ll run through how you can use a learning management system (LMS) to set up your very own customer training portal and benefits this will deliver for your business. Why set up a customer training portal? Companies are creating corporate universities to strengthen their relationship with their customers, promote their brand, and position themselves as a ‘go-to’ resource in their respective industries. The first step to achieving these benefits is to set up a customer training portal in your LMS. When delivering and managing training using an LMS it’s important that your customers have the best experience possible when completing courses. It’s important to bear in mind when choosing an LMS that not all are capable of handling multiple portals. These are separate partitions, or silos, for different audiences. 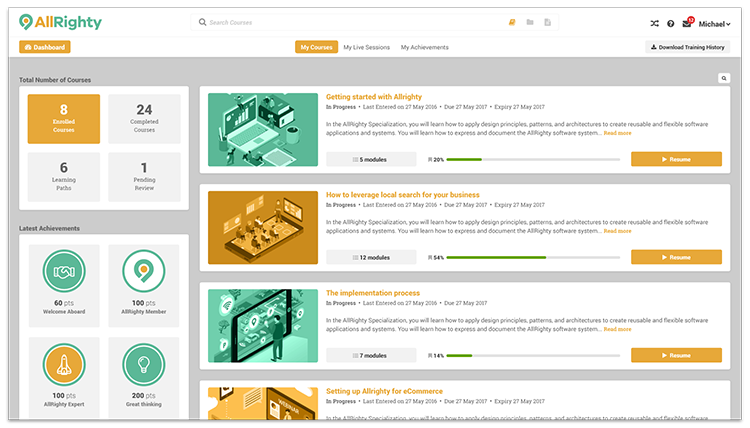 The terminology used in the industry to describe this feature is either a multi-tenant LMS or an extended enterprise LMS. 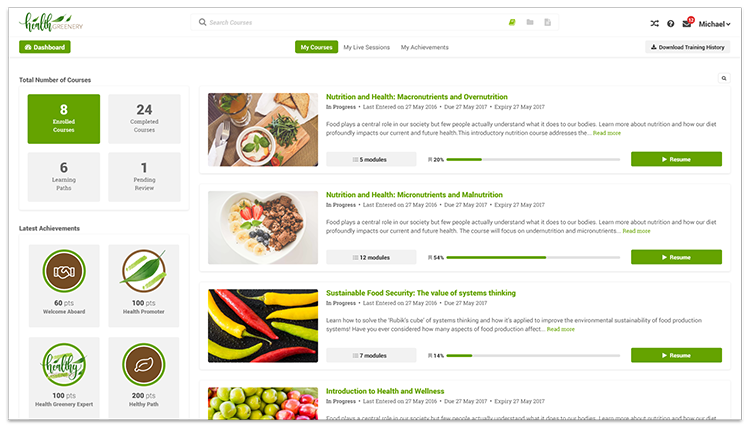 For example, you could organize your learners using this functionality by setting up one portal for your employees, one for partners, and another for your customers. We call these offshoots of your LMS, sub-portals. Choose your portal website address. Upload and customize your brand image assets. Let’s go through these steps in detail. How to set up a branded customer training portal? Setting up a customer training portal in a modern LMS like LearnUpon is easy! Let’s run through the simple steps required. Within your LMS you’ll find the option to set up a new sub-portal. To find this in Learnupon click on ‘Portals & Licenses’ in the main drop-down menu. Click on the ‘Add Portal’ button. You will be asked for the portal’s "Name", "Description" and a "Subdomain" Name" is the title of the portal. The "Description" is where you can add some detail about what the portal does. The "subdomain" is the website URL that your customers will type preceding ".learnupon.com" to access their portal. Make the portal look and feel like your company brand. The goal here is to deliver a seamless experience for your customers when they access their training. 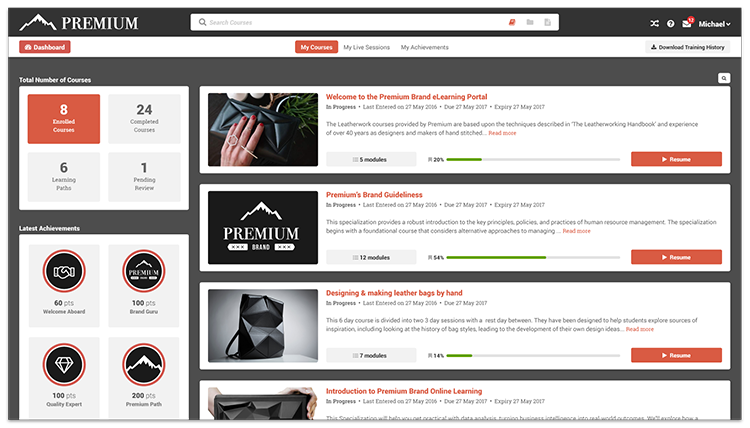 Your customer training portal can be personalized with your brand colors, logos and banner images. There are three aspects to changing your portal colors. Header Color: This will change the color of the portal header and footer. The colors of icons in your header will automatically update to complement the colors you select. Background Color: This will change the background color of your portal. Link Color: This will change the color of all links and actions within your portal. Header Logo: This is the logo that you would like to appear in the header of your portal. If you have white labeling enabled, this will appear in your footer. Squared Logo: This is the logo that will appear in your header when users access your portal on smaller devices. This logo will also be displayed as your favicon. To test your squared logo, upload a logo and resize your browser screen. Mobile App Logo: This logo will appear when users access your portal through our mobile application. Let's look at some examples of branded portals to inspire you! With your customer training portal created and branded dive into the settings section and turn on the features you need. For example, to give your customers the chance to earn badges based on certain activities or course completions, turn on gamification. Our LMS implementation checklist will help you to decide the specific features and workflows you should set up to deliver great customer training. Training is an excellent way to add value for your customers, get them up to speed with your product or service quickly, and ultimately build a stronger relationship with them. Train your customers with LearnUpon. The powerful learning management system that has the features and a knowledgeable team you need to achieve training success. Get your free trial and demo today!